Free Summer Fun in Virginia! Looking for free summer fun? Spring too? As spring and summer roll around, the kids are out of school (or anxiously anticipating getting out soon), and families start the desperate search for something to do! Sure, you can go a water park like Water Country USA or Great Wolf Lodge. You can visit an amusement like Busch Gardens Williamsburg or Kings Dominion. Or you can check out attractions like Luray Caverns, Virginia Beach, or Washington DC. But what if you want something really cheap (or free) and close to home? Check out these cheap or free summer and spring activities! Regal Cinemas is offering its annual Summer Movie Express starting the first or second week in June at all locations nationwide, including 24 locations in Virginia. Movies are offered Tuesday and Wednesday mornings at 10 am, with two movies to choose from each week. Dates vary by location and movies are just $1 per person, and a portion of the money goes directly to the Will Rodgers' Foundation. For details, go to http://www.regmovies.com/movies/summer-movie-express. In the past,Cinemark Theatres offered a Summer Movie Clubhouse where you can purchase 10 movies for $5 when you purchase tickets in advance (or pay $1 per movie at the box office). Movie choices are similar to what you'll find at the Regal program. They offer three locations in Virginia, in Bristol, Norfolk, and Chesapeake. No word yet on whether they will offer it again this year. Go to this site for information: www.cinemark.com/summer-movie-clubhouse. In the meantime, they offer a variety of other family, military and early bird options you can check out here. Paragon Theatres, which has two locations in Virginia (Newport News and Fredericksburg) offers free movies at 10 am Tues, Wed, and Thursdays. For details, go to paragontheaters.com. You can combine free movies with a little history by taking advantage of the Summer Movie Nights on Prince George Street in historic Williamsburg. Enjoy movies like "Minions" on a big screen every Sunday night through Labor Day at 8 pm. Bring your lawn chair or blanket, enjoy the movie AND the free popcorn! Finally, Downing-Gross Community Center in Newport News offers free movies each week starting mid-June, while military families can enjoy free family movies at 10 am Tues, Wed, and Thursdays at Main Gate Movies in Norfolk. And for cheap movies year-round in the greater Hampton Roads area, check out Cinema Cafe, where you can see first-run movies for as little as $1.50 while enjoying yummy food brought to you while you watch! Cinema Cafe has five locations. Portsmouth City Park no longer appears to be offering its free family movies in the park. However, for more free summer fun, Portsmouth also has a Splash Park which is free for the general public. It's located at 900 Elm Avenue and is open Saturdays and Sundays May 23 - June 14 (1 pm to 5:30 pm) and Tuesdays through Sundays starting mid-June (1 pm to 5:30 pm). Want a great free summer fun activity? Try free (or cheap) bowling. AMF Kegler's no longer participates in this program, but they do have their own cheap bowling program which give you up to three games per week all summer for a one-time price. Prices differ by center, but range around $35 for kids and $40 for adults. For details, go to www.amf.com. Another option is to take advantage of their $2.22 Tuesdays this summer. Every Tuesday after 8 pm, fees are just $2.22 per game, $2.22 per shoe rental, and $2.22 for Tall Boys. Similar to the bowling program, this deal lets kids skate free through the summer at participating roller rinks. It's only available on certain days of the week and days vary by location. To check out the dates at a center near you, go to kidsskatefree.com. Free Summer Fun Books for Kids! In my book (pun intended! ), the only thing better than a book is a free book. Which is why my family always participates in summer reading programs through Barnes and Noble. For some educational but free summer fun, kids can read 8-10 books and get a paperback book absolutely free! Barnes and Noble - Every year, Barnes and Noble lets kids in grades 1-6 read any 8 books and bring in a completed form to the store to receive a free book. They'll be able to choose from over a dozen popular paperback titles. The program runs the end of May through the start of September. For all the Barnes and Noble summer reading program details, go to www.bn.com and type "summer reading program" in the search box. Chuck E. Cheese - Download a Chuck E. Cheese reading calendar log, have your child read every day for two weeks, and they can get 10 free tokens. It's good for all year (one reading log per student per day). Go to their website to download the log. 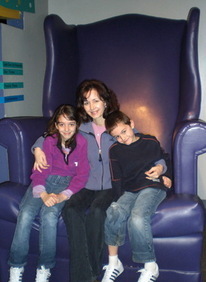 Family time at Childrens Museum of Portsmouth. Half Off Books - Half Off Books usually offers a $5 Back-to-School Bucks reward to kids ages 14 and under when they read 300 minutes. Keep checking their site to see if they'll offer it this year too. Sound too hard? Actually, it's doable if you read just 15 minutes each day! Unfortunately, they don't have locations in Virginia, but maybe they'll have one where you're on vacation or where Grandma lives? Go to halfoffbooks.com. Pizza Hut BOOK IT! Reading Program - The beauty of this program is that it runs all year. Kids sign up (either through school or as a home schooler) and get a free Personal Pan pizza when they've met their reading goals. For details, go to www.bookitprogram.com. 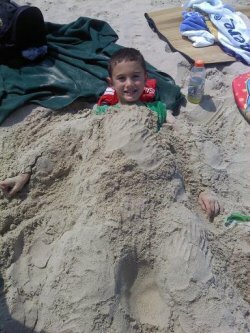 Visit Virginia Beach - it's free! Families can join an interactive scavenger-like adventure that will lead you to spots along the boardwalk and Atlantic Avenue as you solve a mystery. End with a family-friendly movie shown on a huge screen on the beach. They offer select dates between the end of May through the end of August. Time: 6 pm to 10 pm on the Beach at 27th Street. 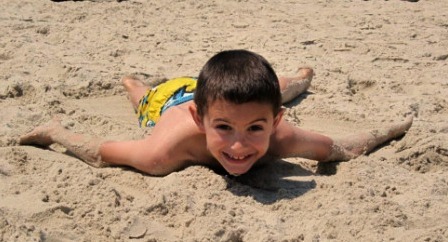 For details, go to http://www.beachstreetusa.com/festivals/family-great-adventure-series. 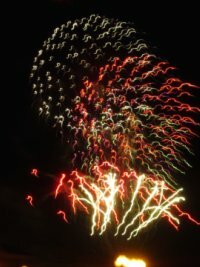 Free Fireworks Shows at the Virginia Beach Oceanfront - at 20th Street on select evenings in June, plus Wednesdays and Sundays in July and August, and Labor Day weekend. Click here for more free fireworks events as they are posted. And what could be better for free summer fun than free concerts? Check out my "Events and Festivals" link on the left. Participating Michael's craft stores and Home Lowe's provide free summer fun with free craft projects on the 2nd and 4th Saturdays of each month. Michael's projects range from American Girl crafts, Father's Day mugs, Klutz projects, and glass bead bracelets. See what's coming up near you by going to www.michaels.com. Lowe's Build & Grow projects usually include woodworking crafts like wooden race cars and birdhouses. They don't post project dates on their website, so call your local Lowes to check out dates and projects near you at www.lowes.com. Hands On As We Grow is a great site full of free ideas for crafts, activities, and keeping the kids busy. One source is handsonaswegrow.com. Another wonderful source for free coloring pages is Crayola.com. 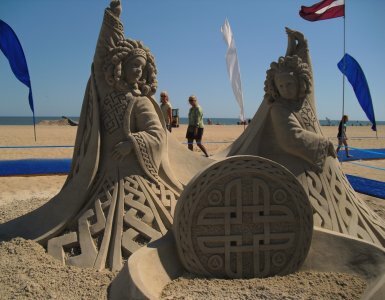 Virginia Beach Neptune Festival has amazing sand castle sculptures. Select Bass Pro Shops nationwide are offering amazing Free Summer Camp activities Tuesdays, Thursdays and weekends the first week in June through mid-July. Events range from crafts, to a free shooting range, archery, and fishing skills, to s'mores, make-your-own-ice-cream, and shooting gallery activities. Activities and workshops are offered Tuesdays, Thursdays and weekends from noon to 5 pm. For details and specific crafts and events offered at the location near you, go to Bass Pro. They also offer family-friendly activities during holidays, like during spring break and during Christmas holidays. Just go to www.basspro.com for details. Cabela's offers a similar program. Get the details at www.cabelas.com. Sports and outdoor retailer REI no longer appears to offer a Family Adventure Program which gives kids incentives (like a free gift) for getting outdoors and documenting their activities. However, they do offer Summer Outdoor Classes on a variety of outdoor activities, as well as over 350 articles and videos on outdoor skills which you can read or watch for free online. Click here for details. 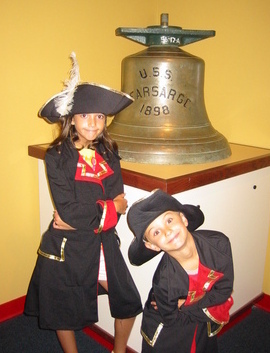 Playing dress up at Nauticus. Finding free summer fun deals and saving money takes time, but why pay more for travel and entertainment when I've done the work for you? - how to eat in great restaurants for less! Can't decide where to go or what to do? My Attractions page is chock-full of my personal reviews of the best attractions for your buck, from aquariums to amusement parks to presidents' homes! Or, check out Free or cheap things to do in Virginia. And whether you're traveling in Virginia, or to anywhere in the US, I'll give you the secrets of how to travel or get entertainment for less, from how to visit museums for "free" to amazing coupon deals. Just go to my Discount Travel Deals page. Can't find what you're looking for? Go to my Site Index.